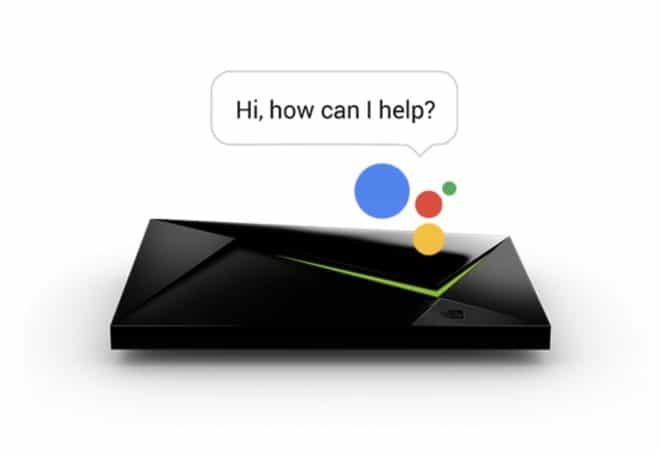 The Nvidia Shield TV box now adds a new string to its bow with the support of Google Assistant. After a little false start due to a bug, the excellent multimedia box Nvidia Shield TV recently switched to Android 8 with a welcome interface change. Today, the device is starting to receive support for Google Assistant, the voice assistant already available on many smartphones and connected speakers. Of course, as elsewhere this assistant can answer your voice-driven questions and commands after pressing the microphone button on the controller or remote control (for the 2015 model) or after saying the classic “Ok Google” (only with the 2017 version controller if you have enabled the option). In addition, home automation (bulbs, thermostats…) or multimedia content management (music, video…) are not forgotten. For example, “Play Stranger Things on Netflix” should work. And even if Netflix is not in the list of compatible products and services: Google Music, Harmony, Nest, Phillips Hue Lights, Spotify, TP-Link or Tune-In.